February | 2014 | ohdenny. 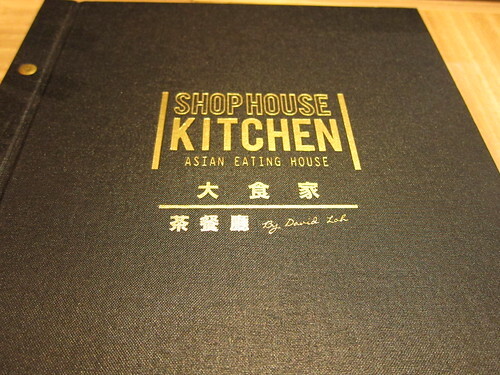 Shophouse Kitchen in QV, Melbourne is one of the many new Hong Kong restaurants that have been popping up around Melbourne in recent times. 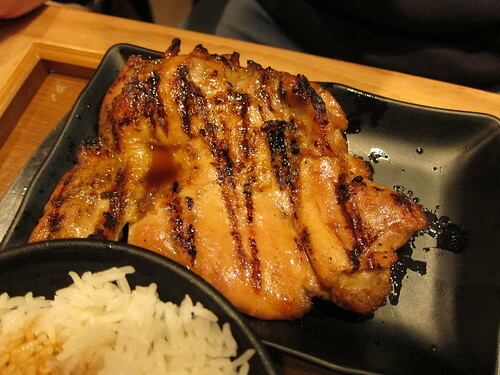 What makes Hong Kong cuisine stand apart from either Taiwanese or Chinese dishes is their fusion of Western and Eastern such as eating a pork cutlet with rice or spaghetti but Hong Kong cuisine of course still retains the Chinese influence and has many Chinese dishes without Western influences. 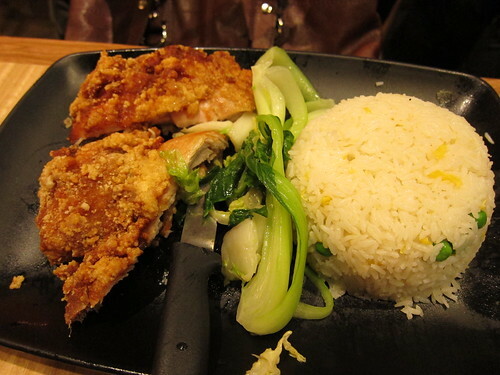 This dish is not one of those distinctly Chinese dishes, instead this dish is called a Baked Chicken Chop on Rice. 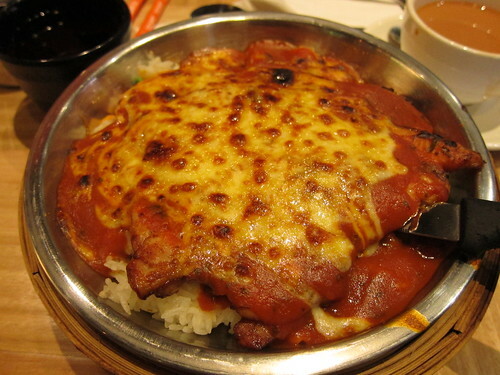 This dish is basically Fried Rice topped with a cheese and tomato sauce bake with a Crumbed Chicken Chop. 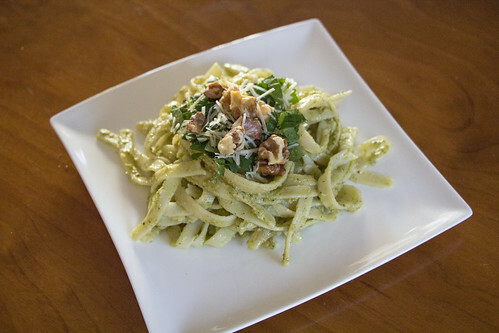 You can also order this with a creamy sauce, akin to that of a Alfredo sauce or creamy garlic sauce. 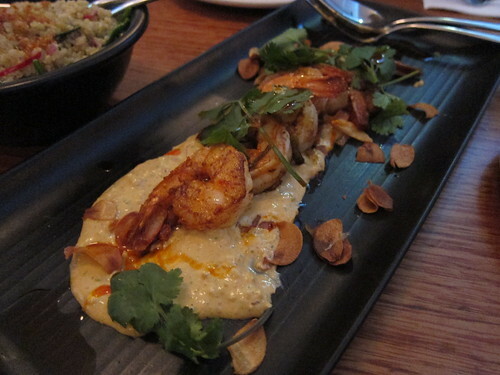 You can instantly tell this is Hong Kong style food, and the fusion here actually works well. 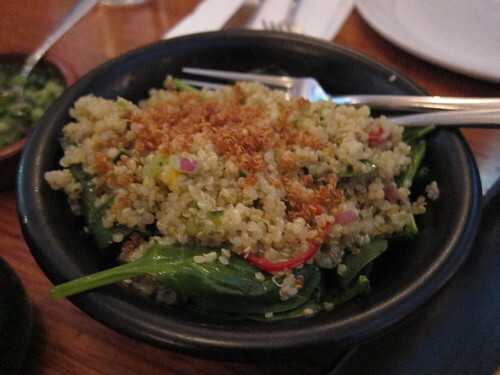 The Fried Rice flavour is quite muted, which allows the flavour from the tomato sauce and cheese to come through. The generous serving of chicken is crisp and moist which is the centrepiece of the dish. Overall, I liked it but I didn’t love it. 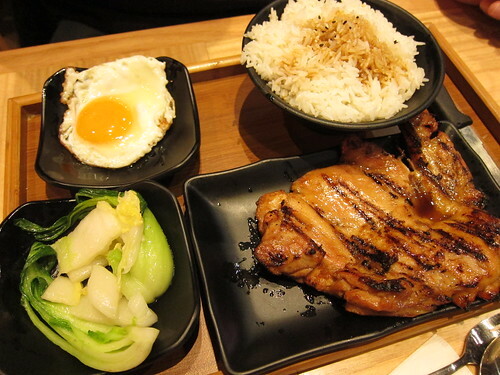 Here we have the Grilled Chicken Chop Rice Set served with blanched bok choy, a fried egg and white rice dressed with soy sauce. I found the grilled chicken here to be overcooked, and over charred which is unfortunate. 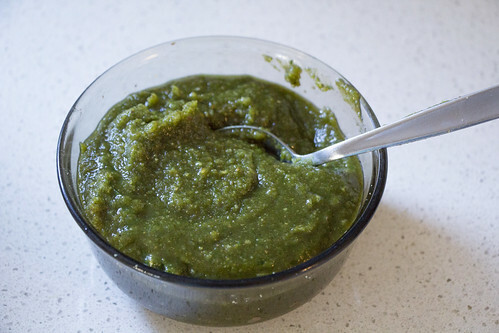 The lack of sauce also is a disappointment as with dry meat, almost dry veggies and egg lacking in any sauce as well, it makes for a poor dish as a whole with nothing to gel everything together. The Fried Chicken Chop Fried Rice dish is as the name suggests, Crispy fried chicken with veggies and served with Fried Rice. Again the Fried Rice lacks flavour and here would be a downside to the dish as there is nothing that really defines the fried rice here with steamed white rice. On the plus side, the crispy chicken was moist and yet extra crispy with plenty of seasoning. On the dessert side of things, I was intrigued by the Signature Durian Tofu Pudding but was sorely disappointed by the end result. You can instantly tell from the first mouthful that the durian here is just flavouring and not real/pureed durian to provide the flavour. 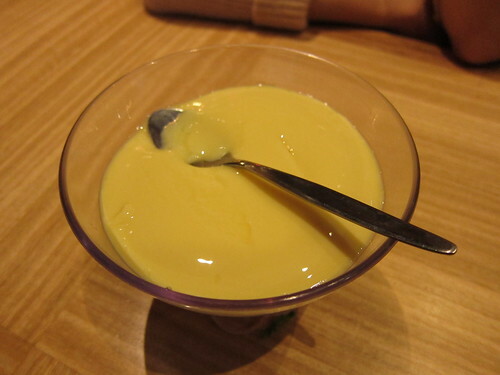 The durian extract or flavouring here was used sparingly and it’s almost just a pudding with a hint of durian. 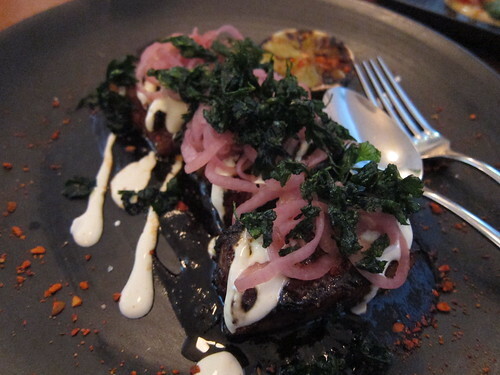 Although the impression you may have here is that the dishes aren’t fantastic, I would say it’s only the Western/fusion style dishes that come up a bit short as they are not either exceptional Western dishes nor are they tasty Chinese dishes. On the other hand, the more Chinese styled dishes such as their BBQ Pork and Fried Wonton (Dry La Mian Noodles) or their Asian Roast on Rice are tasty without question and would actually come back for. 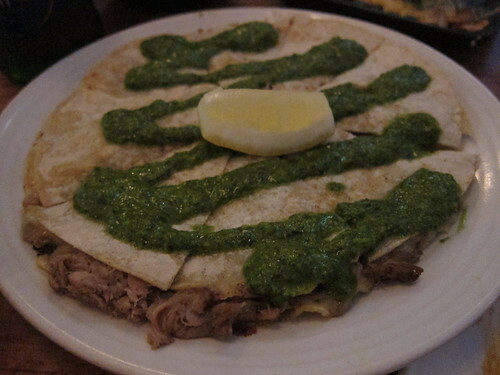 Passionflower is one of those places you come across and ask why is this place so popular. Located on Bourke Street, this little store has quite a following serving Melburnians with sugary Asian influenced delights. 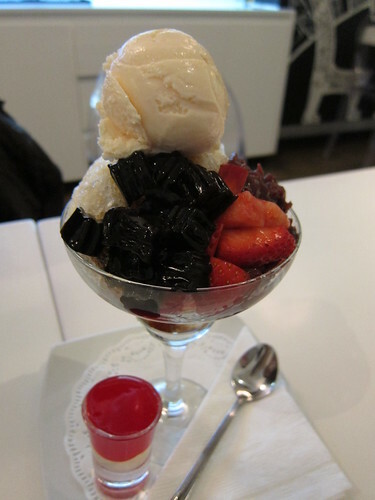 Most of their menu is at least $12+ but I guess that is the price you pay for in these dessert boutiques. Pictured above is Passionflower’s Chocolate Waffles. The waffles are sweet and crunchy. The thickness of the waffles creates this airiness within the waffles and complements the outer crunchiness. With the waffles it comes with two scoops of ice cream (vanilla and chocolate) along with a warm and rich chocolate sauce. The ice cream is nothing to write home about and the chocolate sauce is almost tooth numbingly sweet but you really can’t go wrong with chocolate waffles. Well, apart from the ice cream which was oddly lacking in creaminess. While the waffles were nice, I really can’t say I would ever come back for them. 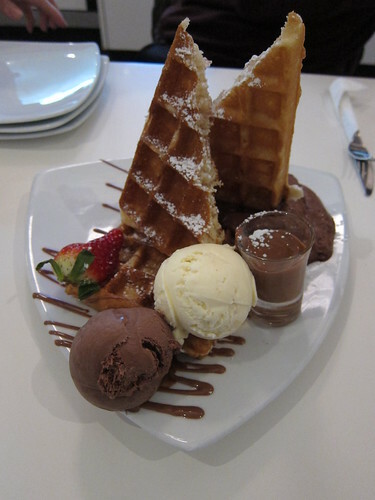 You can easily find better waffles desserts elsewhere in Melbourne. The exorbitant prices are the killer here and without great tasting desserts to back it up, I really can’t see how it’s justified.